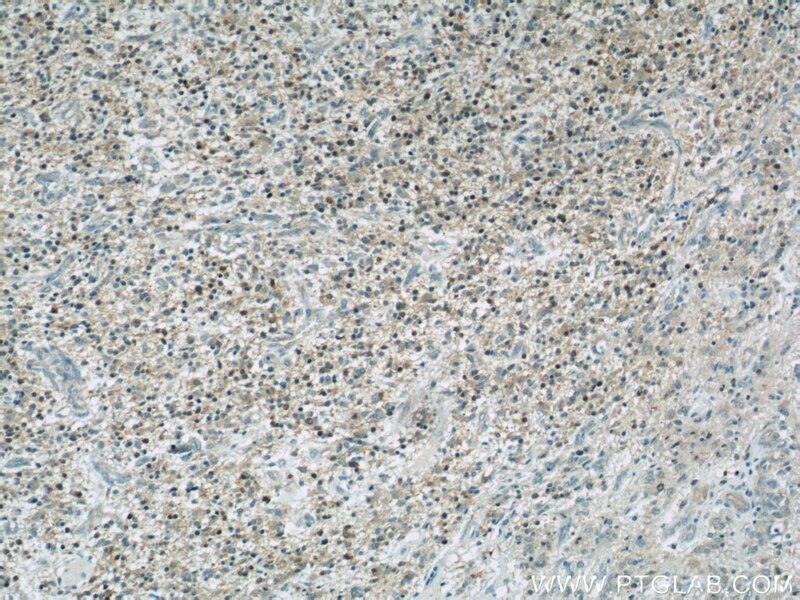 Immunohistochemical analysis of paraffin-embedded human lung cancer tissue slide using 19117-1-AP (CDK6 antibody) at dilution of 1:200 (under 10x lens) heat mediated antigen retrieved with Tris-EDTA buffer(pH9). 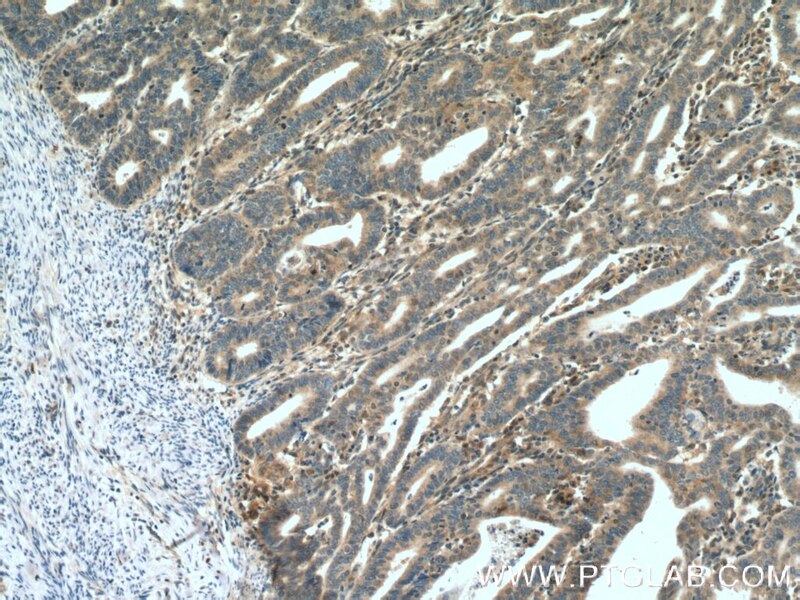 Immunohistochemical analysis of paraffin-embedded human lung cancer tissue slide using 19117-1-AP (CDK6 antibody) at dilution of 1:200 (under 40x lens) heat mediated antigen retrieved with Tris-EDTA buffer(pH9). 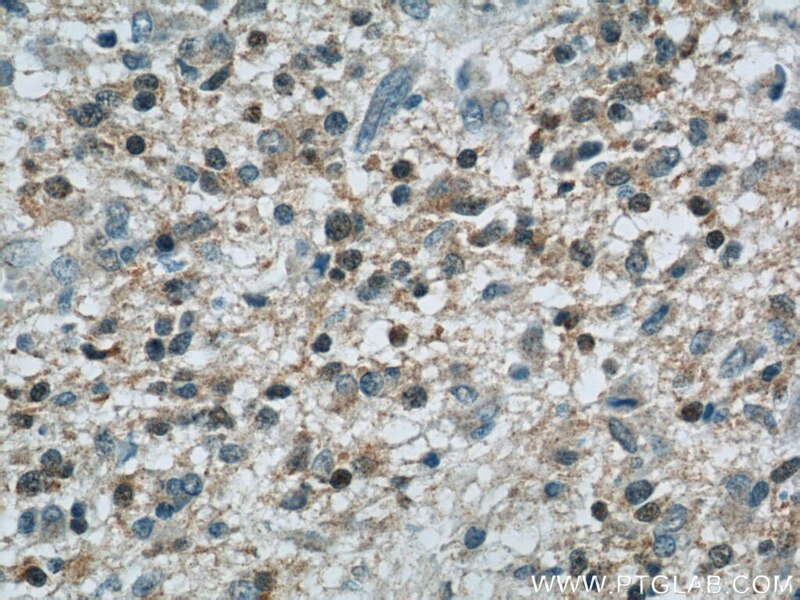 IP Result of anti-CDK6 (IP:19117-1-AP, 4ug; Detection:19117-1-AP 1:700) with Jurkat cells lysate 3200ug. 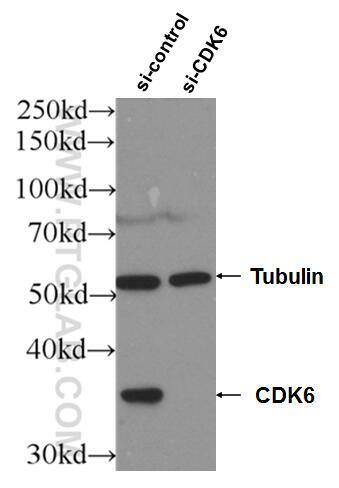 CDK6(Cyclin-dependent kinase 6) is involved in initiation and maintenance of cell cycle exit during cell differentiation and it prevents cell proliferation and regulates negatively cell differentiation, but is required for the proliferation of specific cell types.The molecular weight of CDK6 is 36-40 KDa (PMID: 23563707, 8114739). Knockdown of asparagine synthetase by RNAi suppresses cell growth in human melanoma cells and epidermoid carcinoma cells. 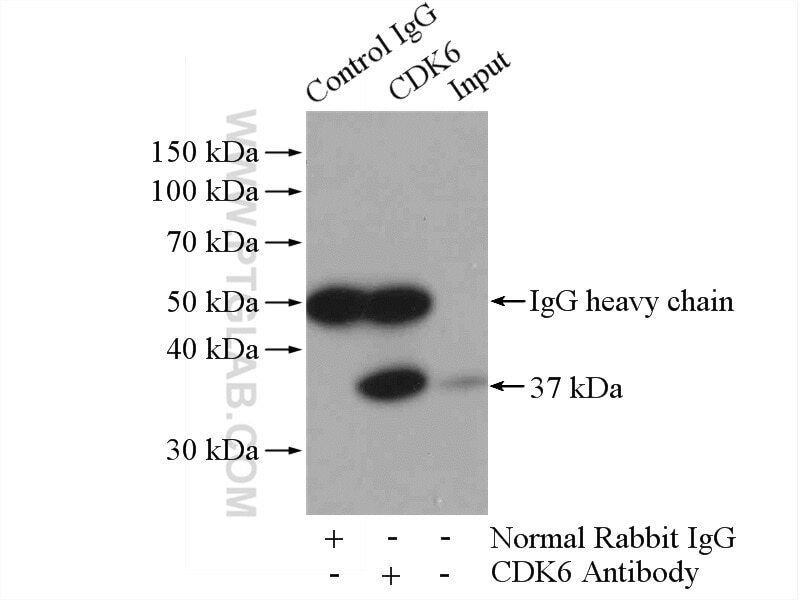 γ-Glutamylcyclotransferase Knockdown Inhibits Growth of Lung Cancer Cells Through G0/G1 Phase Arrest. 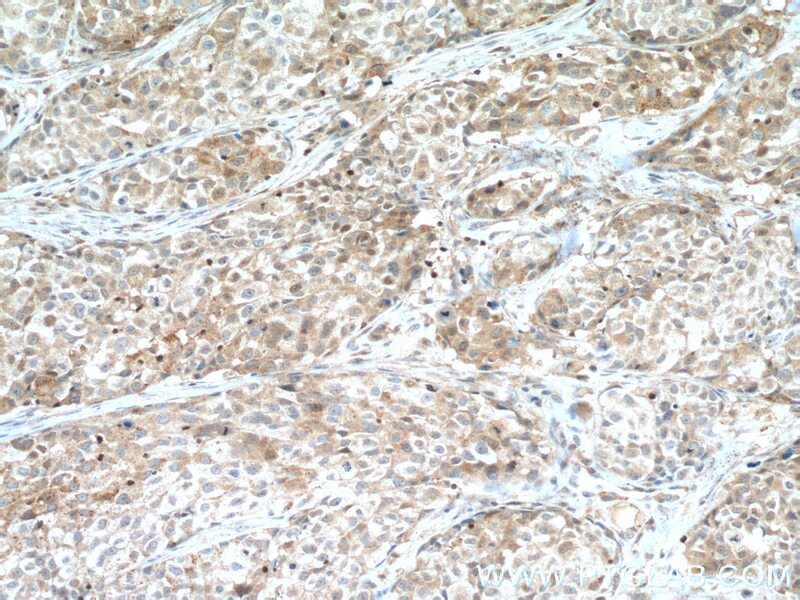 SUN1 silencing inhibits cell growth through G0/G1 phase arrest in lung adenocarcinoma. 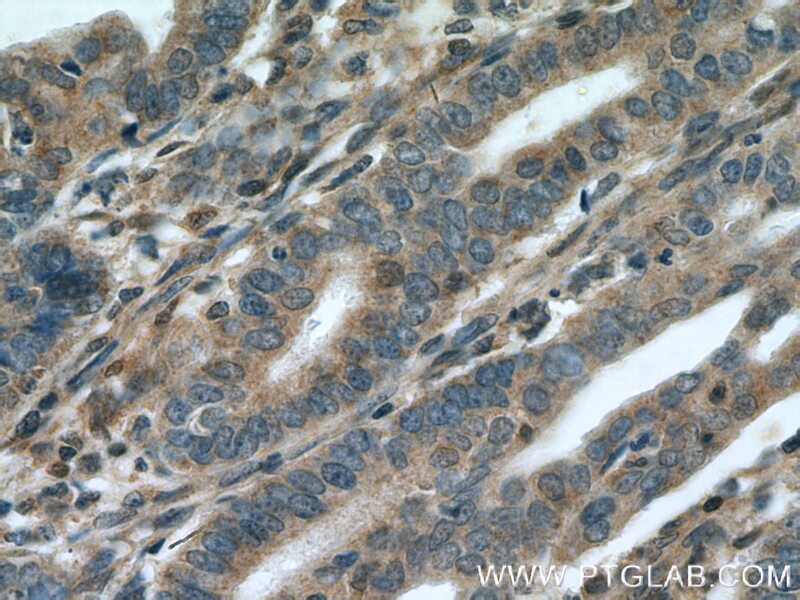 Immunohistochemical analysis of paraffin-embedded human endometrial cancer tissue slide using 19117-1-AP (CDK6 antibody) at dilution of 1:200 (under 10x lens) heat mediated antigen retrieved with Tris-EDTA buffer(pH9). 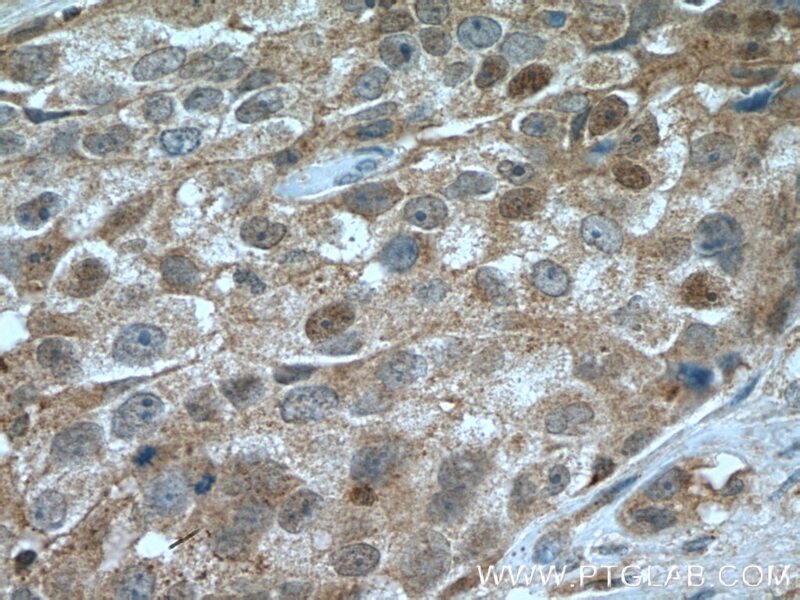 Immunohistochemical analysis of paraffin-embedded human endometrial cancer tissue slide using 19117-1-AP (CDK6 antibody) at dilution of 1:200 (under 40x lens) heat mediated antigen retrieved with Tris-EDTA buffer(pH9).